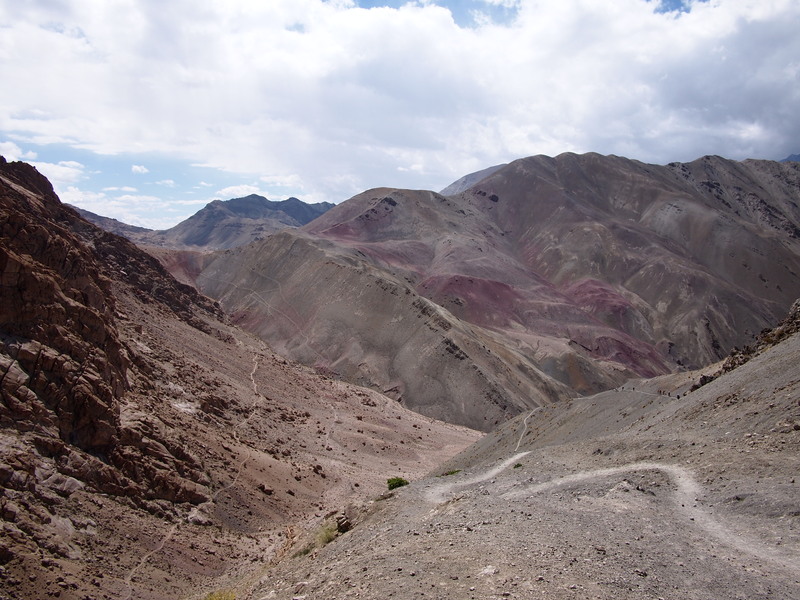 I was only able to take a short trip to Ladakh, but I really wanted to fit in a trek of some description. 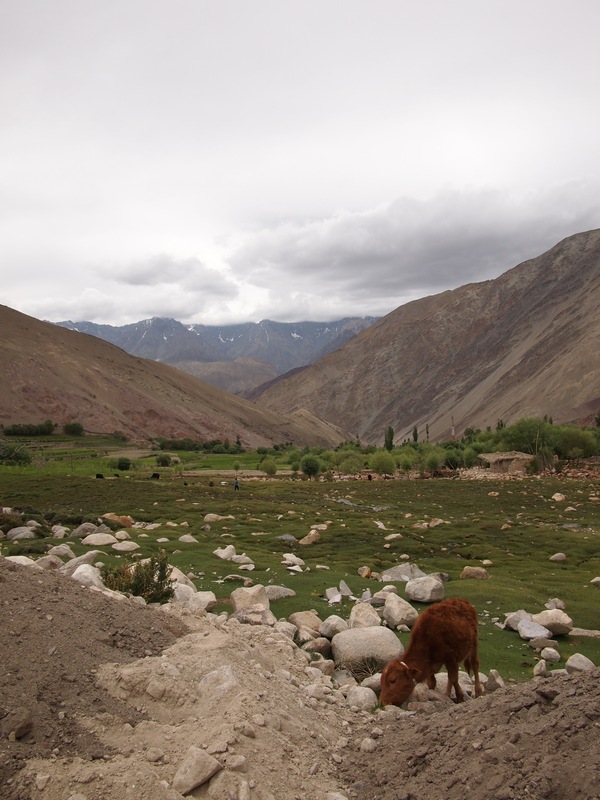 Luckily I managed to find a 5 day trek that would let me explore some villages without having to go to high in altitude. 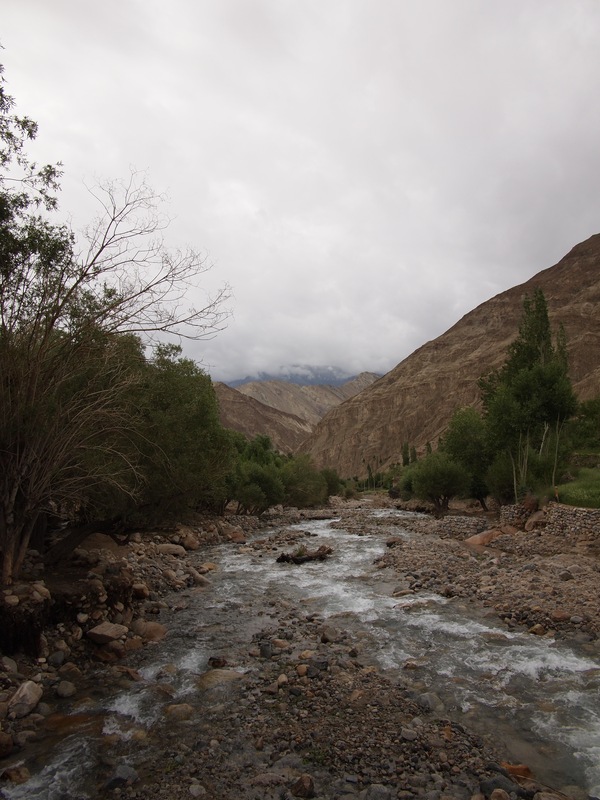 Whilst I have trekked in high altitude before (in Nepal, Peru and Bolivia), I knew I needed more than a few days to allow my body time to acclimatise before trying it again. 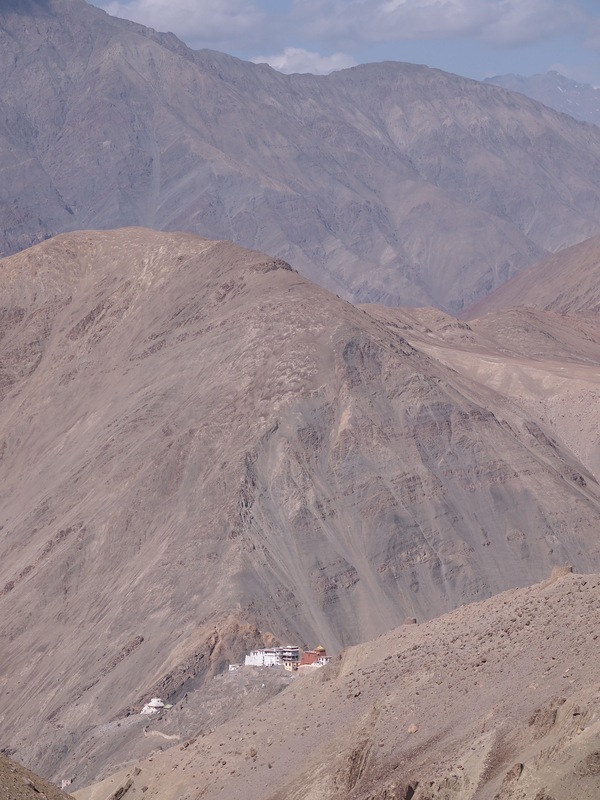 The trek began at Likir Monastry. 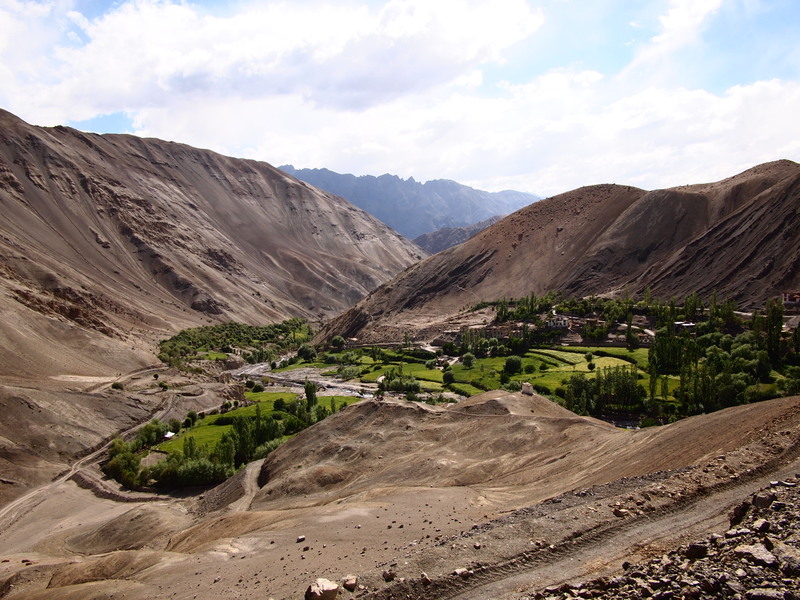 It was like a ghost town, unfortunately unbeknownst to me the trek timing coincided with when the Dalai Lama was in Leh, so all the monks weren’t there. It was kind of eerie, partly due to the quiet monastery but also the grey sky and threatening rain. Yet the huge Buddha still sparkled in the grey light. As we set out on the dirt path, the quaint town of Likir was set out before us. The journey for the first day was long but took us through incredible landscapes. One minute it was green and lush and the next dry and brown. We were staying in homestays, which means you literally stay with a family, eat in their home and see how they live. 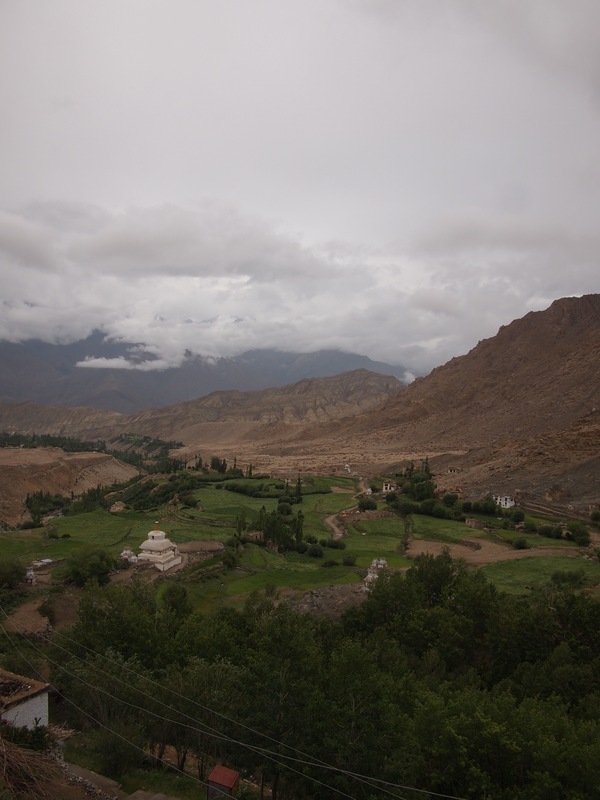 The Ladakhi kitchen is a key feature of all Ladakhi homes, it is where the family congregates, shares meals and chats. Interestingly, most of the meal is actually not cooked in the kitchen, there is a separate room for the actually cooking, but most of the chopping and preparation I saw happened in the broader kitchen. 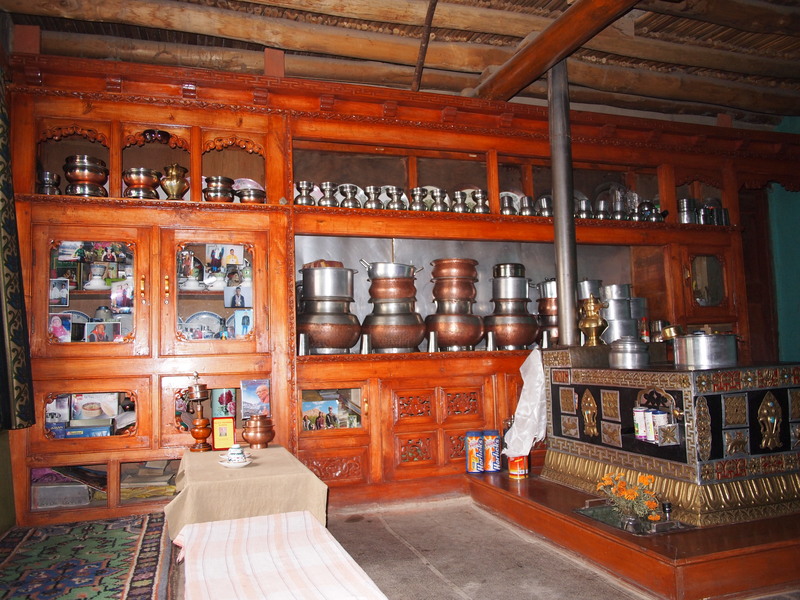 With all their fine dishes on display, this was a typical Ladakhi kitchen. What I loved the most about the Ladakhi Kitchen was being able to sit down in the evening and hear the families stories. Whilst language was a barrier, our great guide translated and the families seemed more than happy to discuss parts of their life. From the mother of three who was living with her in-laws whilst her husband worked for the army in another part of the country, to the young widow who told me never to get married. When I enquired why she was against marriage, she revealed she had been a child-bride married at 12 years of age. Now she encourages her children to study, marrying them is not part of her agenda. These are the stories that you just don’t hear unless you are in an intimate environment like someone’s home. The next day we headed back out onto the road. Again it was a day of walking through so many different environments in one day, from what looked like a desert..
… and finally to our next homestay. 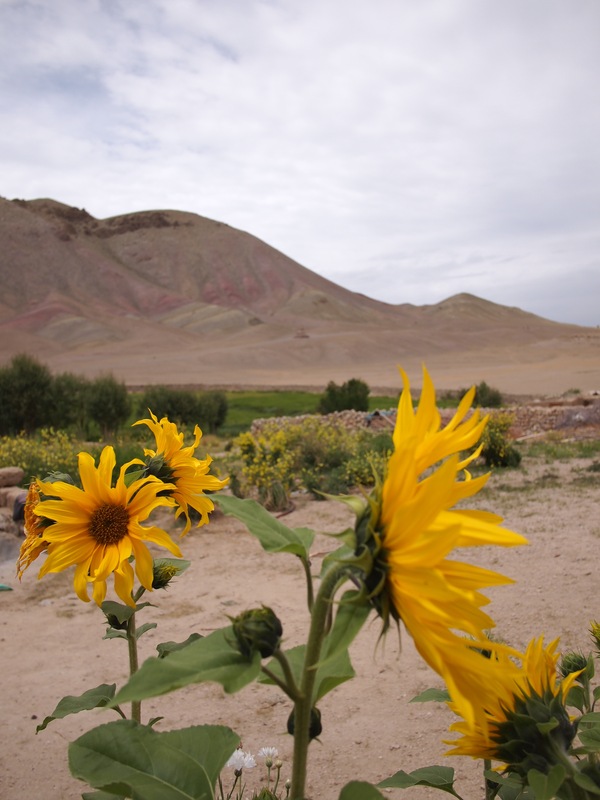 Whilst not much seems to grow in the harshness of altitude, there was certainly no shortage of beautiful sunflowers brightening up the landscape. The next day we woke up to a background that was hues of pink and red. I haven’t seen red earth since I left Australia…. it almost made me feel a little homesick. 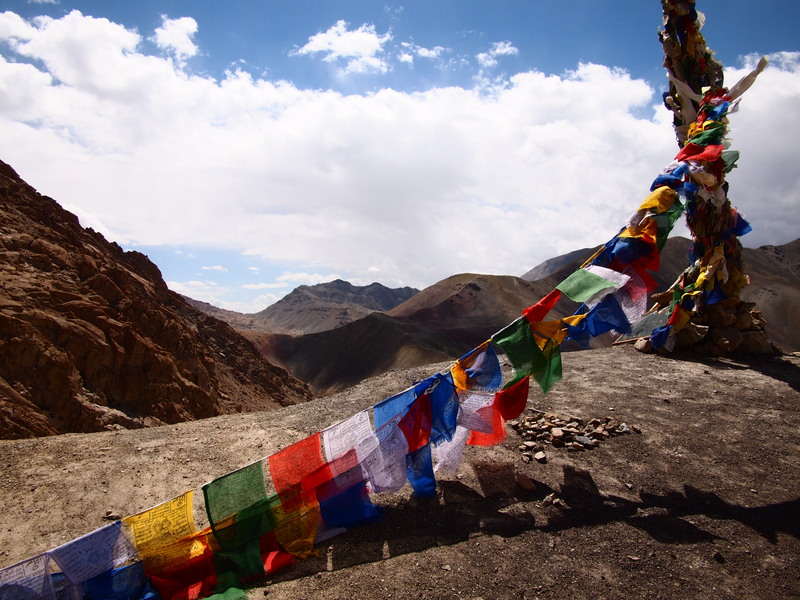 Again we set out for the day and traversed our highest pass (3,870 metres), which was decorated with the traditional Tibetan prayer flags. We headed on to the town of Ang which is where we would be staying for two nights. Nestled amongst the dry hills, the village was full of life, due to the carefully channelled streams weaving their way through the fields. 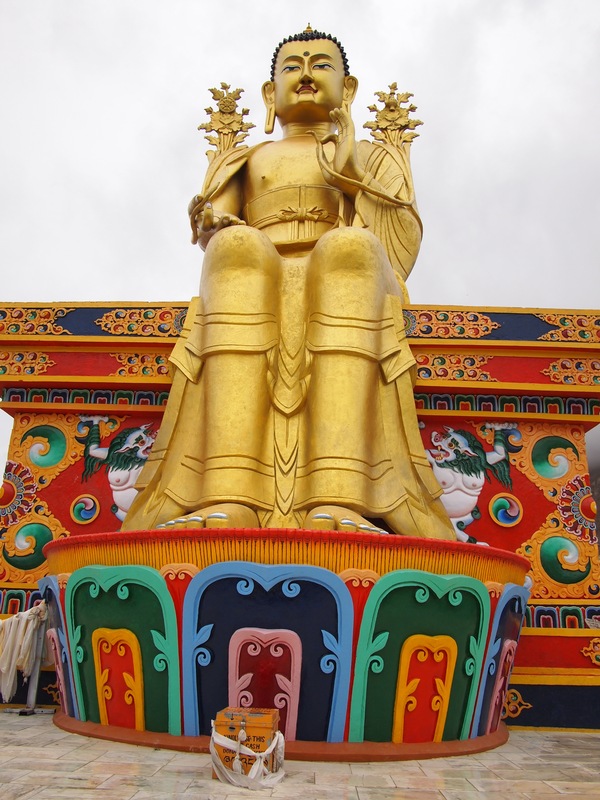 From Ang, we headed out on a day trek to visit some monasteries. 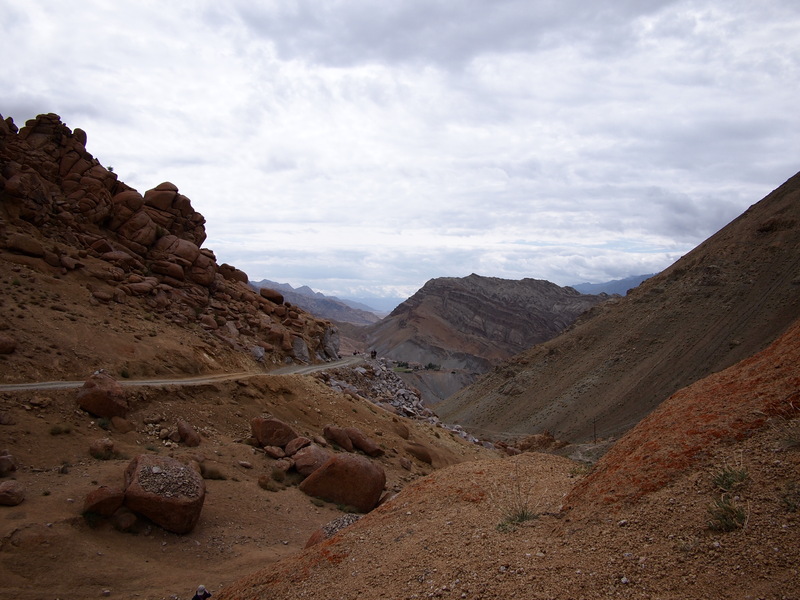 Thee trek was hard, up to a high point and then down a very steep hill with loose gravel and nowhere for my feet to grip. I thought I was going to twist a knee, but the sight of the castle in the distance was my inspiration. Others had certainly traversed this path under much worse hardships, I am sure I could manage. And of course I did. Pemisgan Castle also has a monastery that was beautiful to visit. 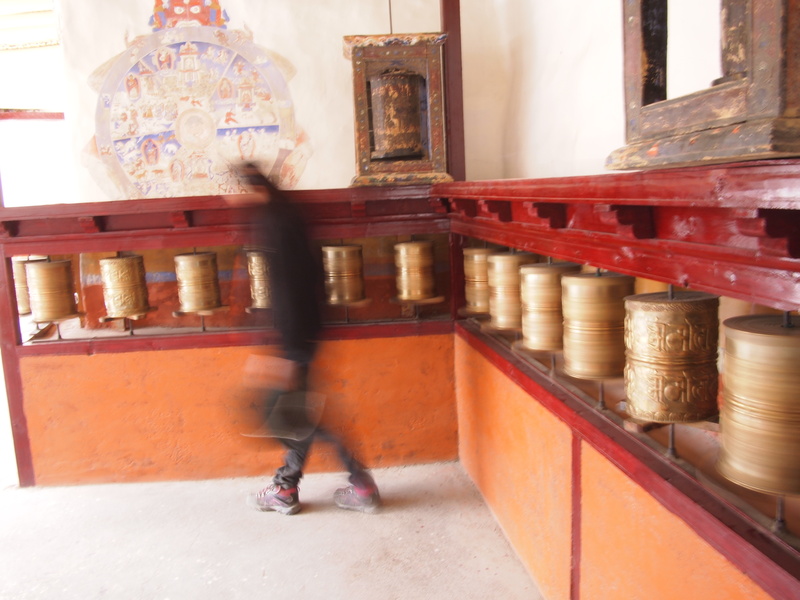 My favourite part of the monasteries is the prayer wheels, where you walk past and spin them. Back at the house later that evening I went down to the fields with the lovely lady we were staying with. 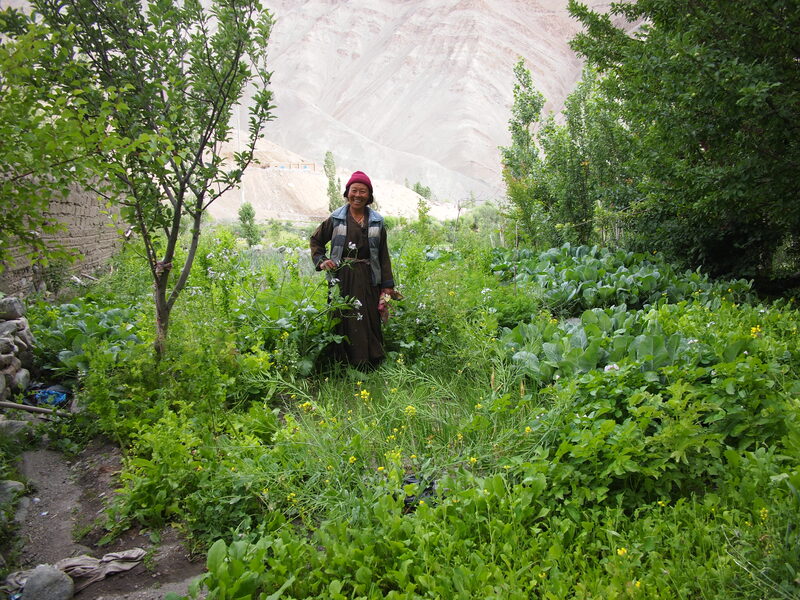 Her small field was full of produce: cabbage, carrots, potatoes, spinach, apricot trees, walnut trees, corriander, onions… the list goes on and on. We picked just enough vegetables for the evening meal and then went back home to prepare it. I don’t think I have eaten anything fresher. After a few short days I felt like a new woman. Before leaving Mumbai I had been quite sick for a while but after a few days of clean air, exercise and fresh food, it felt like I had a new lease on life. Nice description of the trek. Did you use a agent to book the trek and home stay. Do you have any recommendations. 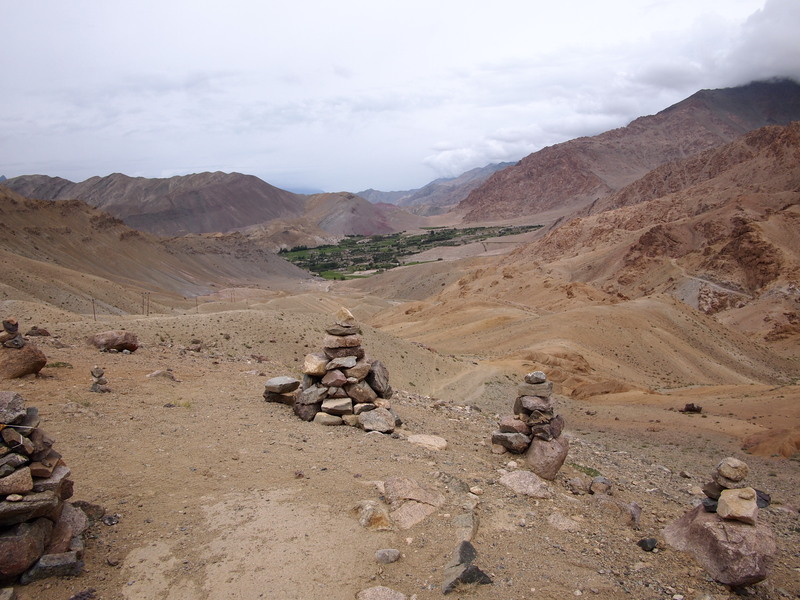 I did the trek with the Ladakhi Women’s Travel company who arranged the homestays etc. I thought they were great and would certainly recommend them. Have a great trek. After hearing you describe it in person, and reading your summary of your trip….I am convinced! Get me on a plane!